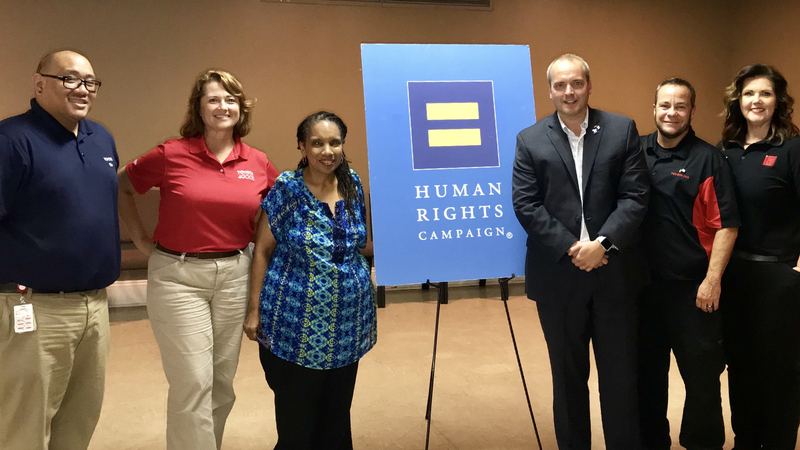 In honor of Bullying Prevention Month, HRC Mississippi and Toyota of Mississippi recently partnered to train Tupelo area educators, parents and students about ways to prevent bias-based bullying. Some of the strategies covered at the training include increasing ally behavior, engaging the bystander and understanding the roles we all play in responding to and preventing bullying. Toni Smith, expert trainer for HRC Foundation’s Welcoming Schools, facilitated the training. Welcoming Schools is the nation's premier professional development program providing training and resources to elementary school educators to welcome diverse families, create LGBTQ and gender inclusive schools, prevent bias-based bullying and support transgender and non-binary students. This event was made possible through a generous grant from Toyota of Mississippi. Part of the #LoveYourNeighbor project, Toyota’s investment is intended to increase awareness of LGBTQ people and the issues they face, particularly in northeast Mississippi. We look forward to continuing this important collaboration to ensure a state that is safe and welcoming to all Mississippians.